Do you dream of breathtaking landscapes, relaxation and comfort? 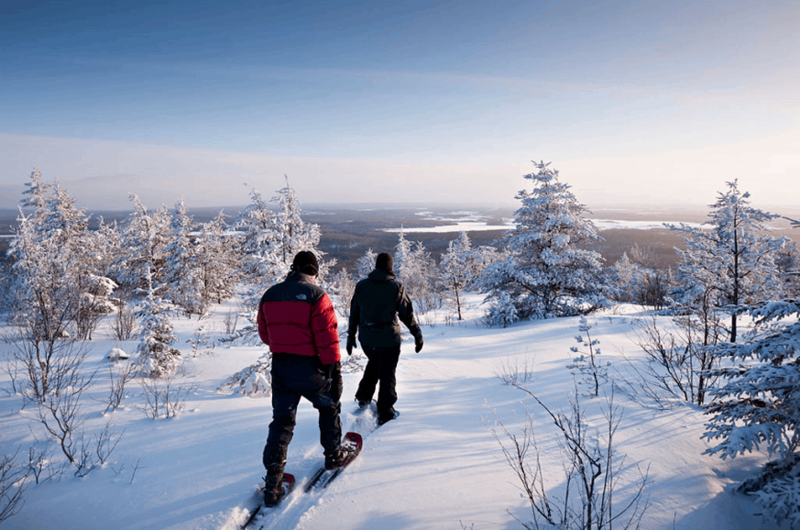 Abitibi-Témiscamingue has 30 km of groomed trails for Nordic skiing. Multi-day hikes are possible thanks to the 11 shelters located in the park. There is a vast network of trails in Gatineau. In fact, there are more than 50 varying in difficulty. 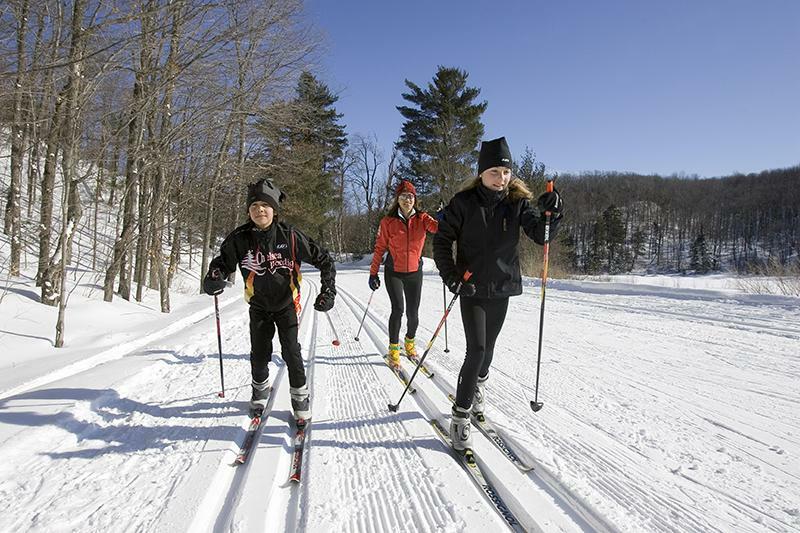 With the beautiful landscape and multiple paths, Gatineau Park is perfect to get acquainted with cross-country skiing. 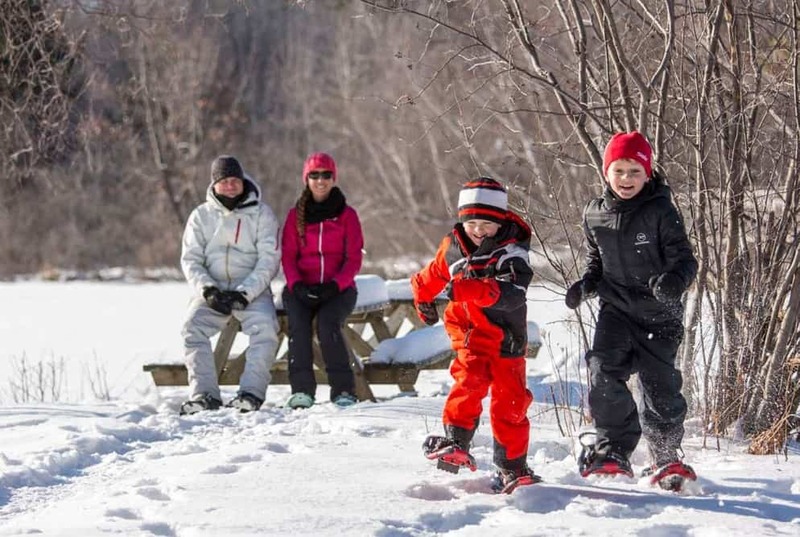 Here you will find two family-friendly cross-country skiing centres that are not too far from Montréal. The paths are for the most part even, groomed and maintained. Mont Saint-Bruno has 35 km of trails and an equipment centre on site. In order to have a memorable family night, think about nighttime skiing! 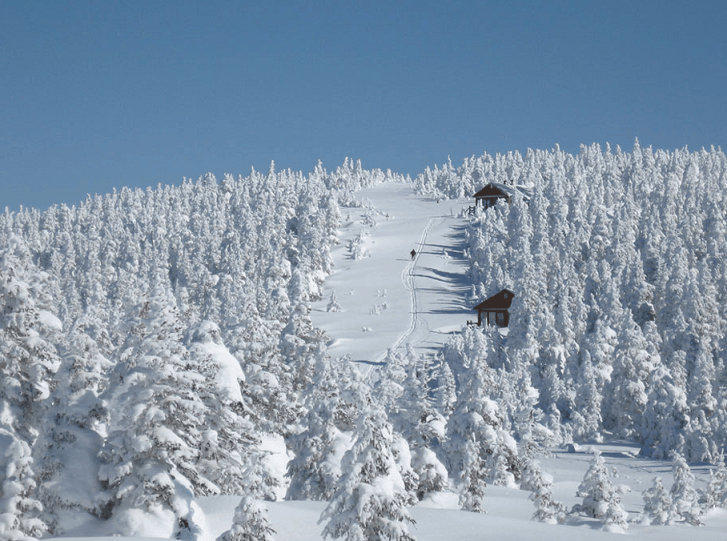 The Gai-Luron Ski centre has 27 km of maintained paths as well as an equipment centre. Introduce your little ones to cross-country skiing in the outdoors – it’s never been so easy! How does cross-country skiing in the city sound? Very possible and very enjoyable! 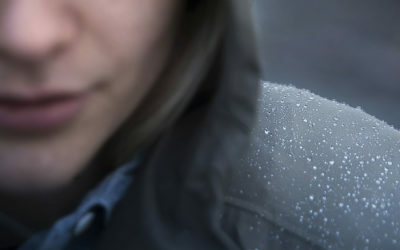 Right in the middle of Montréal, on Mont-Royal you will find about 22 km of paths. The slope of the mountain offers an interesting challenge, but remains easy enough for novices. It is also possible to rent equipment on site. Photos de la Sépaq, Commission de la capital nationale et Les amis de la montagne.